30 Day Weight Loss Challenge! Are you Ready to Lose Weight, Get in Shape, and Feel Great this summer? Do you need accountability and structure? A team to cheer you on? and have fun in the process? We are starting our Weight Loss Challenge July 9th -August 7th. That gives you some time to get ready and mentally prepare. Don't let your hectic schedule get in the way of your health. Get back on track this summer and stick to your fitness and nutrition goals with this 30-day weight loss challenge. It's a great way to get motivated and start new healthy habits. So how does the 30-Day Fitness Challenge work? Purchase a 10 Day Weight Loss Cleanse Kit online $249.00 ($50 off with gift card (while supplies last)) for $199.00 plus shipping or follow your own healthy eating plan while taking unlimited pilates reformer classes for 30 days (only one class per day and classes subject to schedule and availability) for $150.00. The goal is to get you stronger, fitter, and healthier in a month—without getting bored. Pilates is designed to work every major and minor muscle group in your body. The structure of this fitness plan gives you the opportunity to improve your fitness and reshape your body getting you swimsuit ready! Weigh in at the beginning and end to determine the winner!! The winner will receive a $100 Ala Moana Gift Card, 1 Beyond Pilates Tank Top, 1 pair of Toe Sox and 1 Free Individual Pilates session to gift your friend. Beyond Pilates Studio is Having an Open House! See How We Are Strengthening the Core of Our Community! 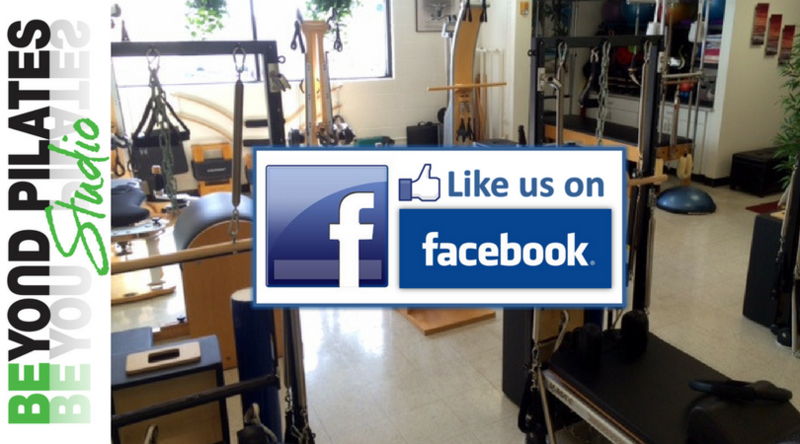 Are you Curious About Pilates and the GYROTONIC®Method? Come Try Out Beautiful Studio and State of The Art Equipment and Find Out What a Difference Fitness Could Make in Your Life No Matter Your Age, Abilities, Strengths and Goals. Be Our Guest and Bring a Friend to share your love for fitness! - Healthy Food and Refreshments Provided! Give yourself and someone you love the gift of health this holiday season! GYROTONIC® WORKSHOPS IN NOVEMBER!!! ONLY A FEW SPOTS LEFT!! JOIN US FOR A FUN WEEK OF WORKSHOPS! ANATOMY WORKSHOP COMPACT is developed by Physiotherapist Uwe Herbstreit. A one day special open workshop for Movement Teachers, Physical Therapists, Dancers & Manual Therapists exploring gyrotonic anatomical fundamentals. Studio Fee $60., Workshop Fee $90, for a total fee of $150. Studio Fee $250., Baseline Course Fee $450., for a Total Course Fee of $700. -Registration may be completed by paying the non-refundable studio fee or full Course Fee via check in the mail or cc or bank transfer via PayPal. -Contact tamarayoneda@yahoo.com for specific payment instructions. -Please note that if you choose to secure registration via the studio fee the remaining baseline fee amount is to be paid directly to the instructor in cash (USD or Euro) only. Studio Fee $375., Baseline Fee $850., Total Course Fee $1225. This Workshop is happening tomorrow!! Life Coach, Lani Kwon will be offering tools and techniques to help you get back on track and laser focused. Friday, Feb 17 6-9pm.